The Day Henry met? Season 1 is hitting store August 15 of this year. This is a cute little DVD has a great story line especially for the littler kids. 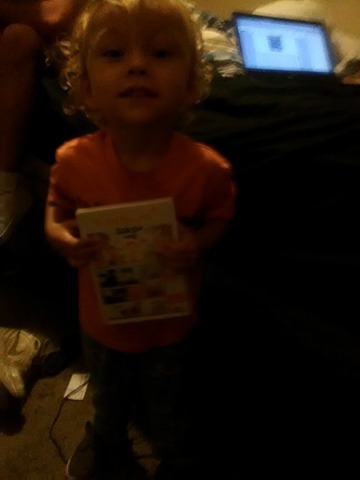 My little guy Aydin loved this. 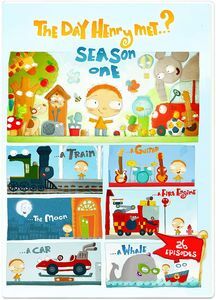 This Season has 26 episodes of fun and entertainment for your kids the story line tells about how everyday Henry meets something new! Henry is a 4-year-old boy who always wants to learn and find out more. In each episode, Henry has a friendly chat with whatever he meets and discovers something new... Hello, Whale. How do you stay under water for so long? Hello, Car. What makes you go so fast? Hello, Moon. Why do you only come out at night? No matter what Henry meets, they're always delighted to talk, laugh and share their amazing world with him. After finding out so many amazing things about his new friends, Henry let's his imagination run wild and imagines himself... As a knight rescuing the missing sword... As a singer performing in a band... As a deep-sea diver swimming along sea creatures... As a fireman rescuing others... As an astronaut flying to the moon... And more! From 0ne episode to the next your little ones will be enjoying and learning at the same time the whole way through. So don't forget to run out and grab your kids a copy of The Day Henry Met? Season1 .